As of late, we at MacNicol & Associates Asset Management have been performing an increased number of obligation free portfolio reviews, which we offer to any individual who may be interested in obtaining a second opinion on their account holdings and management. Through this, we have come across one common thread: the inappropriate use and over-use of Mutual Funds. Mutual Funds are great tools for allowing small investors access to high amounts of diversification and market exposure, however, for larger accounts which are able to explicitly diversify their holdings, there are many disadvantages of Mutual Fund investing which we believe are less transparent than they should be; most of these disadvantages are manifested in the form of costs which may be either not understood or even undisclosed to the average investor. Below, we have listed a breakdown of all the major fees involved in Mutual Fund investing. Deferred Sales Charges (DSC): Also known as ‘back-end fees’. 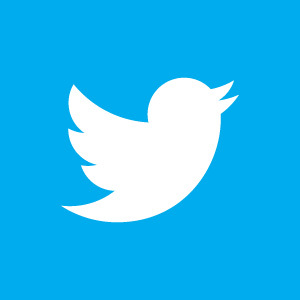 They are based on a percentage of the market value of the account; peaking in the first year of the investment, and eventually declining to 0% once the investment has been held for a defined period of time. These periods traditionally last anywhere from 5 to 7 years. These fees work to restrict an investor’s liquidity and locks them into an investment which they may or may not wish to remain involved in. It is our belief that these fees are not explained transparently enough. Sometimes these fees can be avoided if the funds are transferred into a fund managed by the same company, this is not guaranteed or particularly common. The reason that these fees exist is because the Mutual Fund management company will pay the stock broker or advisor a percentage fee up front, on a transaction basis. Essentially, a DSC charge forces the investor to reimburse the Mutual Fund management company for this commission. The fees are supposed to encourage investors to ‘buy and hold’ and support the Mutual Fund company with what is known as ‘patient capital’. Trailer Fees: A fee paid by mutual fund companies to stock brokers or fund dealers, as compensation for selling their funds to investors. Excessive trailer fees may indicate that a salesperson has a conflict of interest and may be suggesting investments for the wrong reasons. This fee is paid annually for as long as the investment is held, and is paid based on the market value of the account; that is, the notional fee actually grows as the account value does also. These suspicions have been confirmed by a recent research study commissioned by the Canadian Securities Regulators, which found that funds with trailer fees experience significantly higher capital inflows, relative to funds who do not have these fees. Inflows into funds with trailer fees were also found to exhibit less correlation to past performance, while those without trailers were much more correlated to past performance. The Ontario Securities Commission is expected to announce their suggested reforms to the Mutual Fund industry in the first half of 2016, and some hope that these fees will be first to the chopping block. Trailer fees are banned in both Britain and Australia for these very reasons. Load vs. No Load Funds: A fund which is ‘No Load’ is sold without a commission or sales charge, and is typically distributed directly by the actual mutual fund company or one of its affiliates, rather than being through a designated sales representative. A ‘Load Fund’ simply describes a fund which is sold with some sort of fee, which are broken down into their own separate categories: Front-End Loaded Funds, Back-End Loaded Funds, Level-Loaded Funds, or even Low-Loaded Funds. A Front-End Loaded Fund will charge an upfront commission on purchase, which will effectively lower the amount that you are investing in that fund. For example, $10,000 invested in a Front-End 5% Loaded Fund would actually result in $9,500 being invested in that fund outright. As a note of interest, these fees will be the reason why the quoted purchase price paid by an investor for a Front-End Loaded Fund will be above the stated Net Asset Value per share of that same fund; a portion of each share purchased is not invested into the fund. Front-End Loaded Funds are typically classified as being Class A. A Low-Load Fund will involve a combination of Front-End and DSC characteristics, typically charging a lower upfront fee (compared to a DSC fund), with a shorter redemption schedule and a modified trailer fee. Often, once the DSC redemption period has passed, if the investor still holds the fund, the trailer fee will be bumped up to equal that of a traditional ‘No Load’ fund. All of these various fee classifications are justified as being compensation for the work and expertise of your personal sales intermediary or broker. Lastly, the Management Expense Ratio (MER), while not directly paid by the investor, is another important ‘fee’ to consider. The MER is the cumulative value of the fee paid to the company who actually manages the Mutual Fund, combined with the operational, admin and tax costs associated with its management. The MER will be quoted as a percentage of the Net Asset Value of the fund, and all Mutual Funds have them. The size of the MER is an important factor to consider when evaluating Mutual Funds for potential investment, as the size of the fee will have a material effect on the performance of the fund’s assets and therefore your investment. Although the differences in various fund MERs appear minute, the difference over a long period of time is staggering. 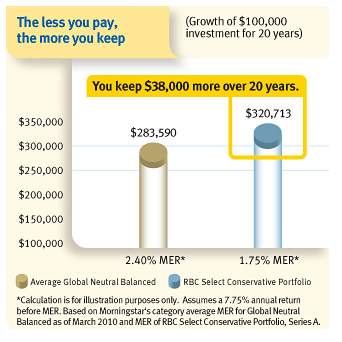 Consider the chart below, compiled by RBC, which details the growth of a $100,000 investment over a period of 20 years, under two different MER structures: one with an MER of 2.4%, and the other at 1.75%. The assumed growth rate for both scenarios is 7.75%. This chart shows that, despite a relatively small difference in MER fees, the actual impact on the growth of capital is massive over time. This is due to the power of compounding interest, which Einstein famously referred to as the ‘8th wonder of the world’. Over time, these seemingly small costs have real detrimental effects on investment portfolios. We are hopeful that this article has allowed you further insight into the costs associated with investing in Mutual Funds. If you or somebody you know would be interested in a free no obligation portfolio review, please do not hesitate to contact us.